Bogg - An all-in-one dog poo bag dispenser and waste carrier. Rainproof, lightweight and foldaway. Bags. Holder. Bogg is a lightweight, easy to use dog poo bag dispenser and waste carrier. 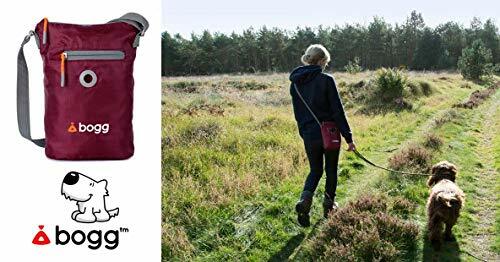 A simple and practical solution for dog owners who want to clean up after their dogs and then continue to enjoy there walk without the urgency of finding a bin. 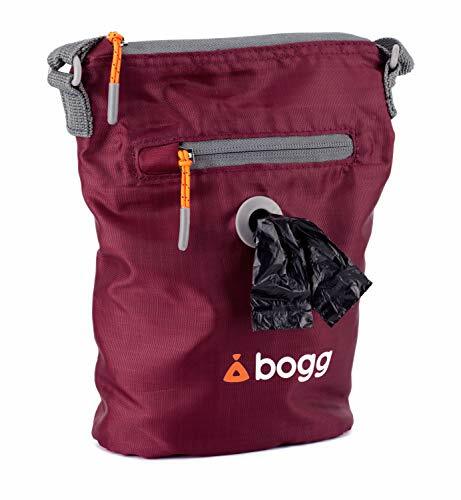 bogg has a convenient front pocket that will store a supply of loose clean bags, or alternatively, a roll which can be thread through a front dispensing hole. A top zip accesses the main compartment allowing a full waste bag to be dropped in with little effort or fuss. With a rain proof shell and leak proof inner bag, bogg will carry its contents securely until a suitable bin is reached. 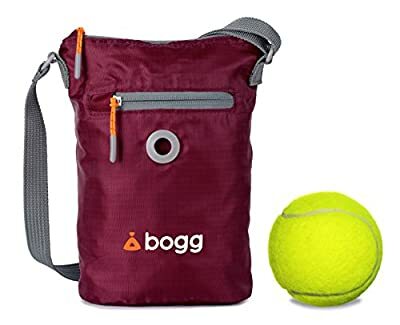 When no longer required, bogg can be conveniently stowed away in a pocket or handbag. Fabric - A polyurethane coated, non absorbent, ripstop fabric, used in many outdoor garments, ensures bogg can withstand the harshest elements and also help keeps odours inside. A second inner bag, made of the same fabric with heated taped seams, ensures bogg is leak proof. Size - Bogg is 22cm x 19cm x 7cm with up to a 1 litre holding capacity. A shoulder strap, long and adjustable, is suitable for dog owners of all sizes. Storage and washing instructions - When not in use store your bogg with the top zip open or better still, pull the lining inside-out. Airing your bogg will prevent odour build up and ensure bogg can be used day after day without the need for washing. When necessary, bogg can be machine washed up to 40C.